AccuQuilt Go! Cutters. Full product selection. Learn More & Shop Now. 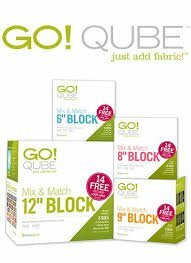 Are you a quilter, but hate cutting? Are you a teacher or crafter and need to cut a lot of items for projects? We have the perfect tool for you! Feed your passion with education, inspiration, and an active community of quilters. We'll help you get the most out of your AccuQuilt products and elevate your cutting experience. Cottage Quilting in Kelowna offers a full selection of Go! Cutters and fabric cutting dies. The cutting part of the quilting process is laborious and time consuming. You work hard to get the perfect cut – carefully measuring each piece, and enduring hand, arm and back strain as you cut multiple shapes.